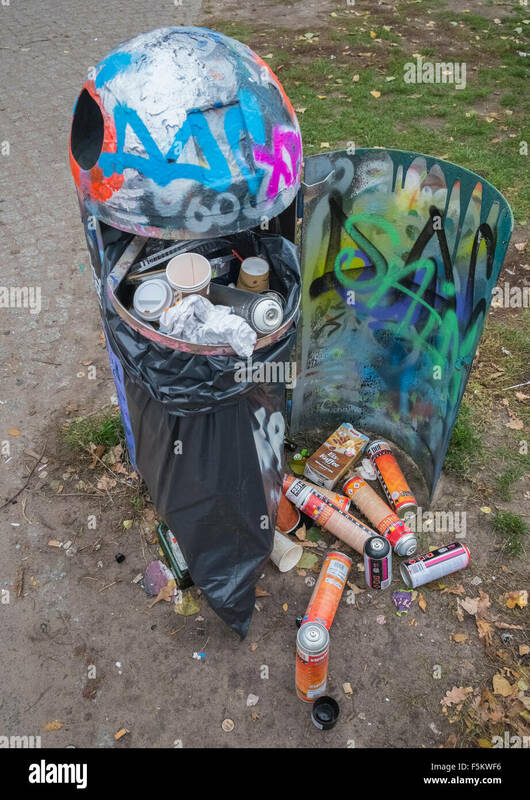 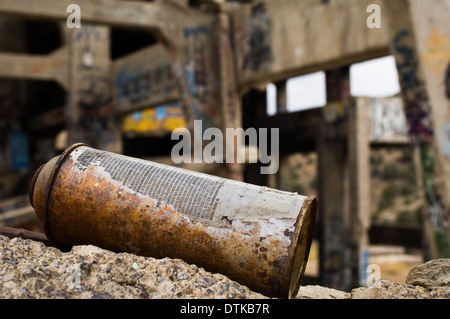 Used paint spray cans in refuse container. 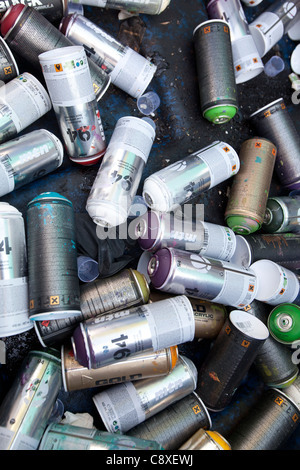 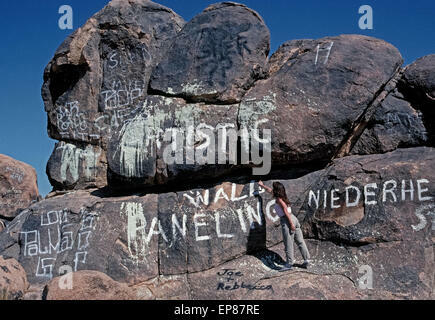 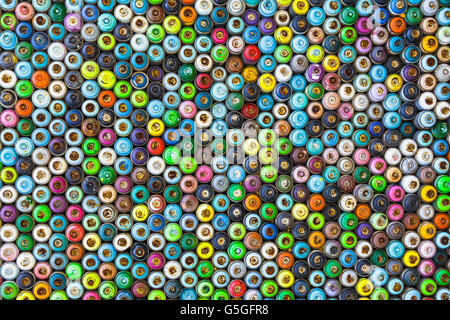 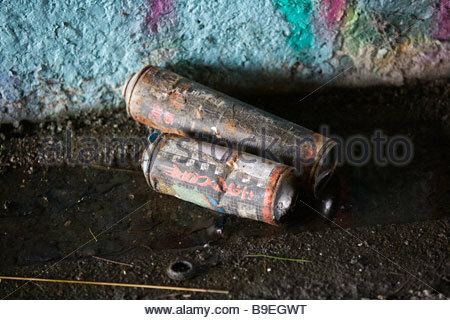 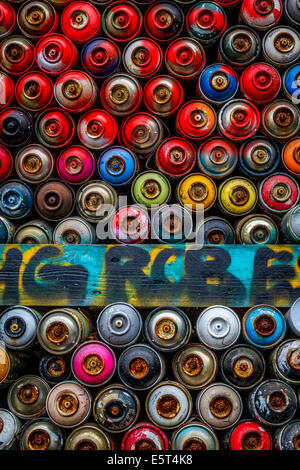 used aerosol spray paint in cans in carton. 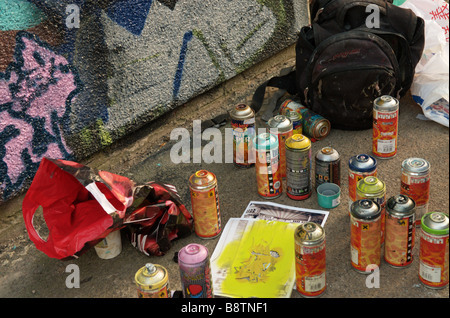 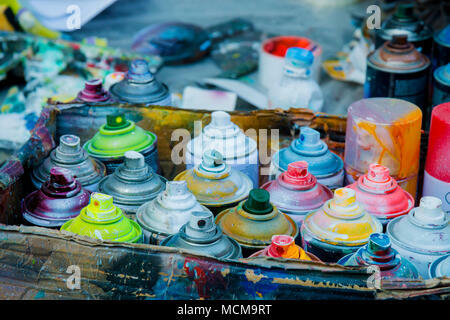 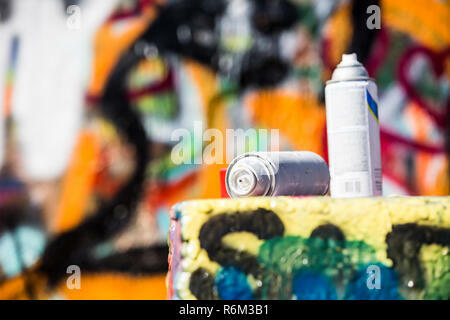 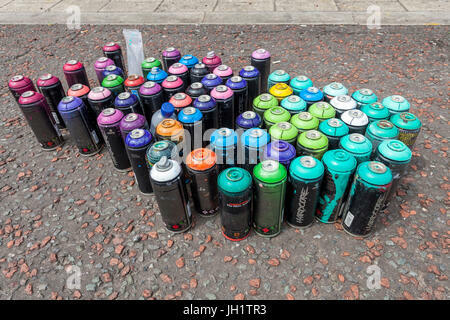 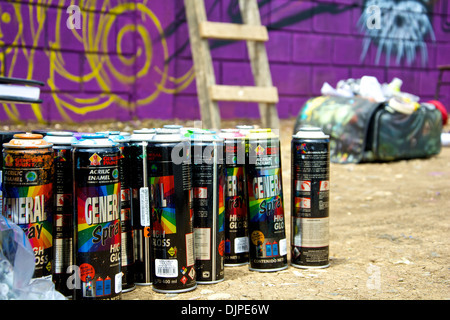 Set of other type of spray cans used at the event, with one bag used by an artist at the event in Cartago. 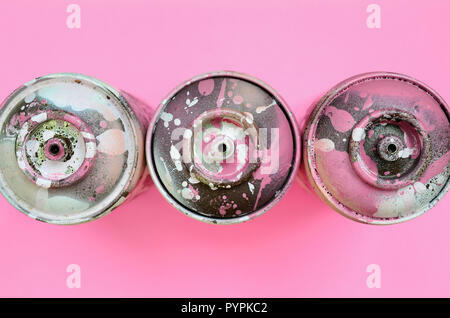 A few used spray cans with pink paint drips lie on texture background of fashion pastel pink color paper in minimal concept.